Start off your visit on the 30th (Sat): appreciate the extensive heritage of The Rocks, see a show at Sydney Opera House, then stroll through The Opera House to the Botanic Gardens Walk, and finally kick back and relax at Bondi Beach. 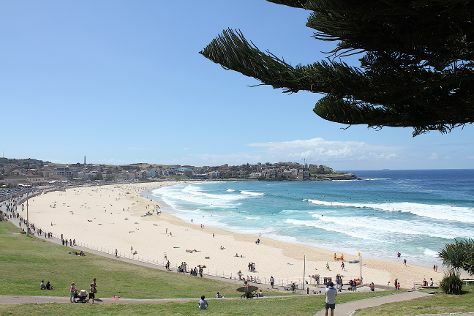 On your second day here, enjoy the sand and surf at Manly Beach and then take a stroll through Darling Harbour. To find more things to do, other places to visit, and tourist information, you can read our Sydney attractions planner. The Route module shows you all the different ways you can get to Sydney. November in Sydney sees daily highs of 29°C and lows of 19°C at night. Cap off your sightseeing on the 1st (Sun) early enough to travel to Port Douglas. Start off your visit on the 2nd (Mon): see some colorful creatures with a scuba or snorkeling tour. Get ready for a full day of sightseeing on the 3rd (Tue): get interesting insight from Tours. To see ratings, maps, other places to visit, and tourist information, use the Port Douglas trip maker . Do a combination of flight and shuttle from Sydney to Port Douglas in 7 hours. Alternatively, you can drive; or do a combination of train and bus. Traveling from Sydney in December, expect Port Douglas to be somewhat warmer, temps between 36°C and 26°C. Cap off your sightseeing on the 3rd (Tue) early enough to travel back home.